Marriott International is now requiring that guests cancel their reservations a minimum of 48 hours prior to arrival or face a penalty equal to the cost of one room night. That change is not sitting well with business travelers, according to a poll conducted by the Business Travel Coalition. While many large international hotel chains allow travelers to cancel their reservations up to the afternoon of anticipated arrival, Marriott International (NASDAQ:MAR) has instituted a much more restrictive cancellation policy for reservations made on or after June 15, 2017. It now requires a minimum of 48 hours’ notice – and sometimes more – for guests to cancel their reservations at hotels in the U.S. and Canada, Latin America and the Caribbean without penalty. The screen shot above shows the policy for a proposed reservation at the Seattle Marriott Waterfront for a stay beginning Aug. 19. In that case, the hotel is requiring three days’ notice to cancel without penalty. While leisure travelers can and do change their plans, shifting priorities and business demands often make it necessary to rearrange or cancel meetings - and the associated travel - on much shorter notice. A poll of 216 travel managers and travel management company executives in 12 countries predicts the change could have far-reaching consequences for Marriott in the short term, and may be a harbinger of a sea change across the industry. Some 59 percent of poll respondents indicated that business travelers will likely book away from Marriott properties, especially after they get burned by cancellation fees a couple of times as many travelers do not read the fine print on travel documents. Moreover, the policy change seems to some as a huge overreach and particularly burdensome for business travelers who have little to no control over when a customer or prospective customer cancels a meeting the day before. Taken together, there appears to be an opportunity for Marriott’s competitors, especially Hilton (NYSE:HLT), to win new business. Thirty percent of respondents say they are considering a travel policy change that restricts travelers from booking Marriott properties while 68 percent indicate that they will seek to negotiate an exception for their travelers. The most prevalent theme in the extensive comments provided by respondents is a sense of great disappointment in Marriott whom many thought understood the needs of business travelers and managed-travel programs. With weeknight room occupancies high in business markets, and with Marriott’s forecasting and booking capabilities enabling it to replace cancellations, many feel the new policy is merely a money grab. Regardless, 53 percent feel that other hotel companies will follow Marriott’s lead. "Increasing competitive concentration in the hotel industry has no doubt aided Marriott in implementing this policy," the coalition said in its statement about the poll results. "The new policy demonstrates Marriott's market power, which allows the hotel company to disregard its best customers' needs and demands without competitive consequences; also a sign of a failing marketplace. 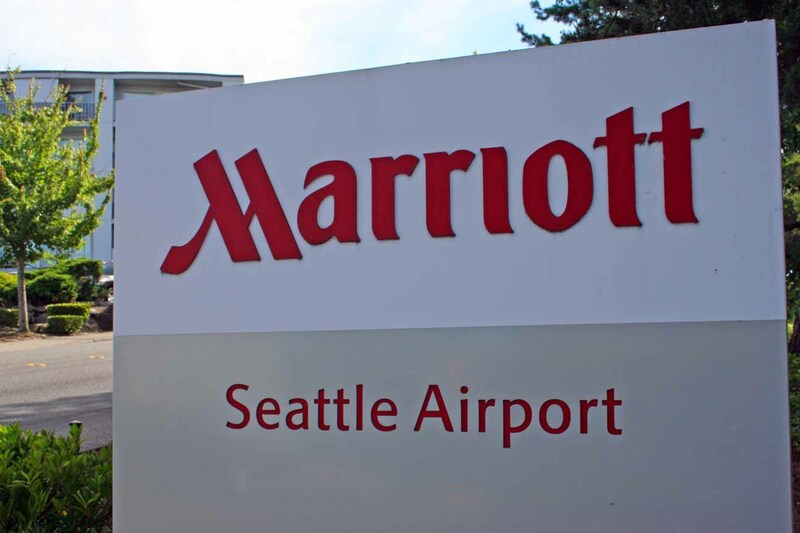 What’s more, tacit coordination among fewer mega hotel company participants in the marketplace for corporate lodging services will increase the likelihood of Marriott's move being adopted by its competitors." Question: Will Marriott’s new policy cause business travelers to book away from its properties? Q: Are you considering a travel policy change that restricts travelers from booking Marriott properties? Will you seek to negotiate an exception for your travelers in your next contract with Marriott? Do you expect other hotel companies to follow Marriott’s lead? Respondents to the poll were offered the opportunity to provide free-form comments. Many complained that the move was "Very business-unfriendly" and a "Bad deal for business travelers." Some said it would drive business to Marriott's competitors. Some predicted the practice would spread. “Assuming it sticks, hotels, like airlines, tend to follow each other when it comes to new sources of revenue, which is what this is. I expect others to follow." A minority of respondents were openly supportive of the change. Whether Marriott sticks with the policy, whether other chains adopt similar approaches, or whether it is abandoned in a short time all remain to be seen. We saw an increase to 5 days within their SPG properties. Very disappointing and difficult to manage.